Capt Luis Rivas mentioned the many accomplishments of squadron members from last month. Several people received commendations as well as promotions. 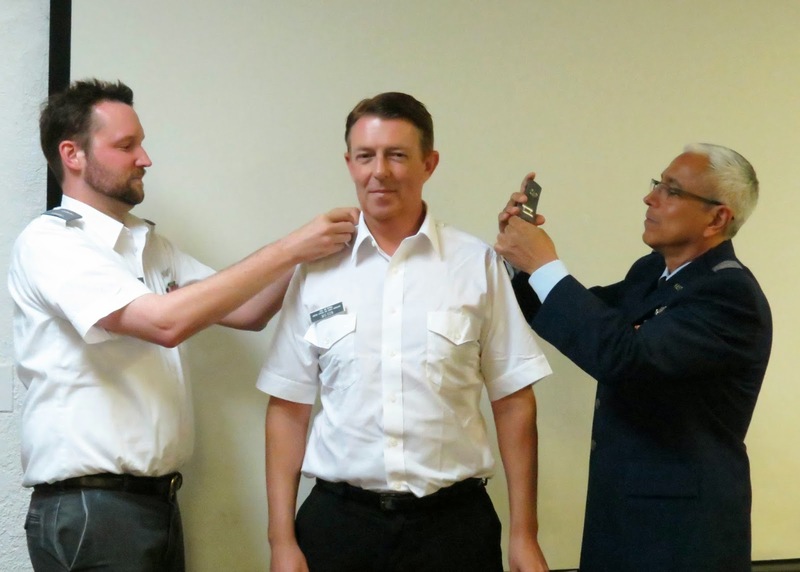 2d Lt Terence Wilson was promoted to Capt. 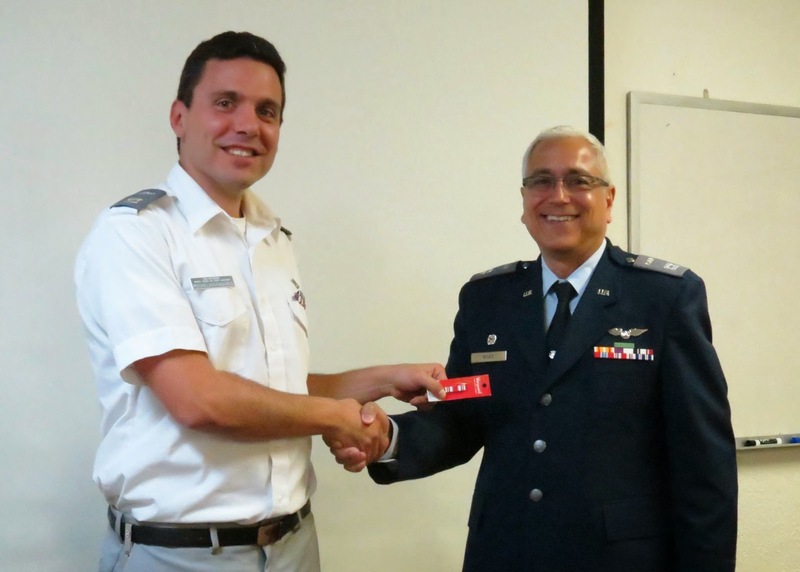 Capt Georgios Michelogiannakis and 1st Lt Robert Kraus received the Red Service Award, to recognize their 2 years of membership in good standing. Capt Georgios Michelogiannakis was awarded the Find Ribbon after achieving his first non-distress find; 1st Lt Matthew Gast was given the propeller device to add to his existing Find Ribbon. 2d Lt Tim Roberts was awarded his Mission Scanner ES rating. 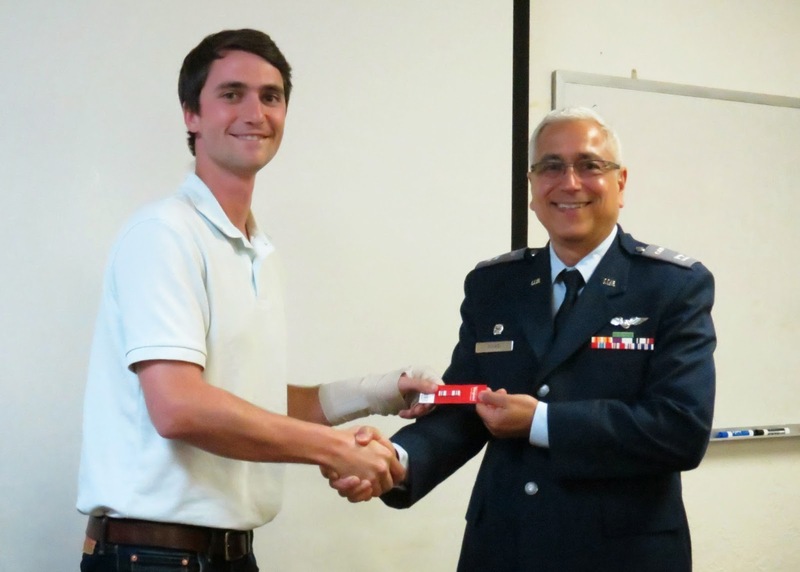 1st Lt Matthew Gast was awarded a Cadet Orientation Pilot Ribbon. 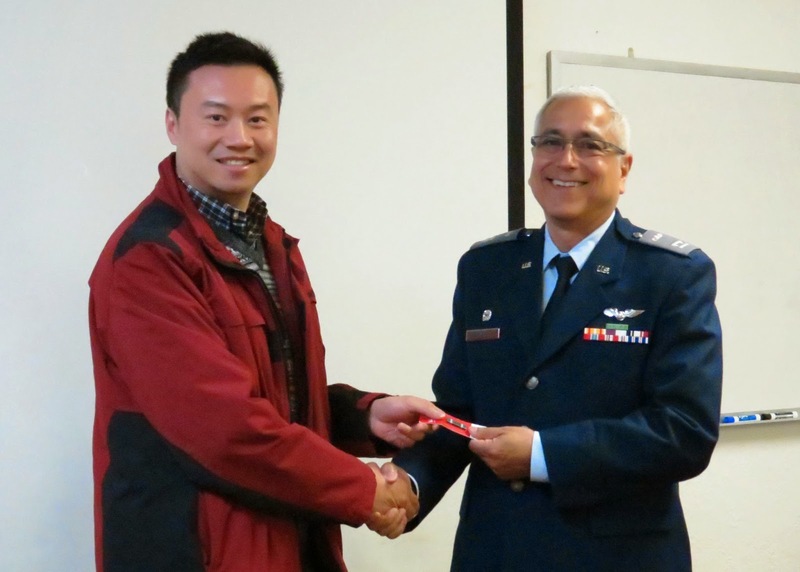 1st Lt Mike Cao was awarded a Counter Drug Ribbon. Congratulations to all members for their achievements and their continuing dedication to CAP’s mission and ongoing training. 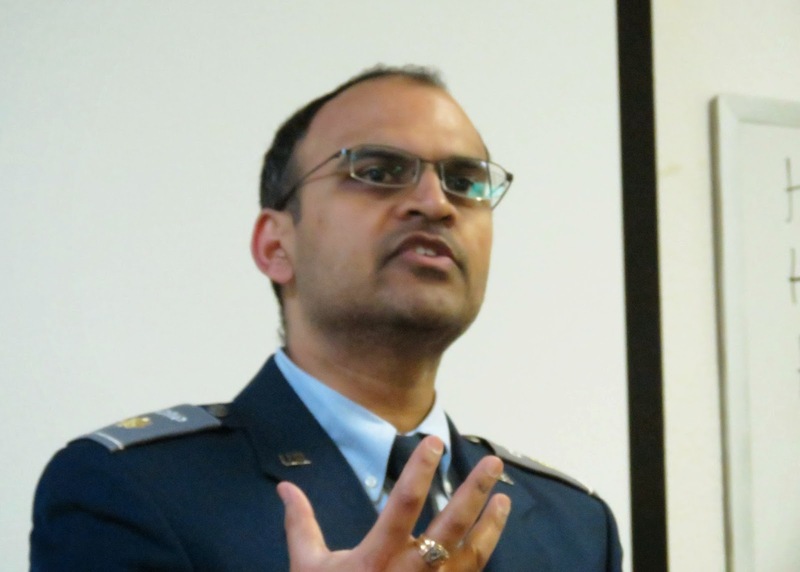 Maj Kumar Misra presented this month’s Safety Orientation. As first responders, it is essential for us to know what dangers are posed when arriving to a scene. While numerous concerns must be accounted for, preventable issues must be on the forefront of one's mind. Blood borne pathogens are high on the list of issues to be mindful of, as one of them is outright preventable (Hepatitis B) with a vaccination series. The other two pathogens (Hepatitis C and HIV) also pose serious threats, and contact precautions (such as using disposable gloves) must be used to best minimize the chances of disease contraction. Exposure to fresh blood is the most dangerous way to contract these pathogens, especially if the exposure happens to an open wound and/or to mucous membranes, such as to the eyes. One must seek immediate care from a skilled healthcare professional of the healing arts in such an instance (i.e., MD, NP, PA) to determine whether PEP (post exposure prophylaxis) may be indicated.